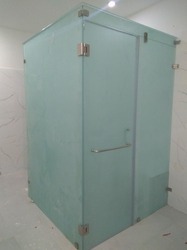 We deal in a wide assortment of steam room enclosures which are made using top graded materials. 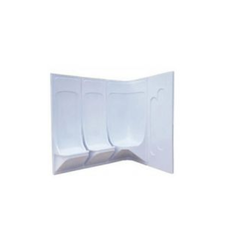 We offer folding seats that save space with our steam room enclosures. Further, these seats are comfortable and long lasting. Our product range is acknowledged in the market for its exclusive designs. 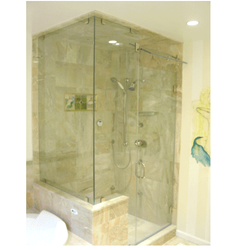 We manufacture a complete range of Steam Room Shower Enclosure that comes with folding seats and other allied accessories. It is known for its long-lasting ability and offered at industry leading prices. Available in custom made design and features as per the client's requirements. These can be availed at industry leading prices within the stipulated time frame. Suitable for bathroom and shower. We also offer our clients with the steam rooms, which are an affordable luxury which will improve the quality of life in ways you can only imagine. A steam bath deep cleanses and moisturizes the skin, relaxes tight and overworked muscles and reduces aches and pain. It rejuvenates the body and revitalizes the mind. Each steam room design is masterfully crafted around European tradition and is large enough to accommodate groups of two to eleven. Our steam room is ideal for commercial or residential applications. In each well-designed steam room warm, soft clouds of steam penetrate the body for a purely blissful experience. Our range of masterly crafted steam room enclosures are beautifully designed which allows more personal steam experience and convert any bath into a private health spa. The soft clouds of the steam in our rooms will render a heavenly experience during the bath.